This week started a bit slower and more relaxing than the past few weeks, but the second half was busier. The first few quieter days this week I tried out some new recipes, spent some more time visiting other blogs and doing other hobbies. I even played a video game for a few hours. It was a bit of a quiet week for Lola’s Blog Tours, but I am sure things will pick up next week as I have 3 tours starting then. The author for one of the review opportunities I am organizing also offered audiobooks, so it will be interesting to see if soemone request those. This is the first time I toured a book with audiobook review copies. The second half of the week was a bit busier as I heard back from the author for whom I am setting up her website with changes and feedback, so I spent the rest few days working on that. I made great progress, but still have an hour or two of work left before everything is done. It’s been a busy few days. I hope those of you who celebrate thanksgiving had a great thanksgiving! And another weird thing we dutchies eat on our bread. 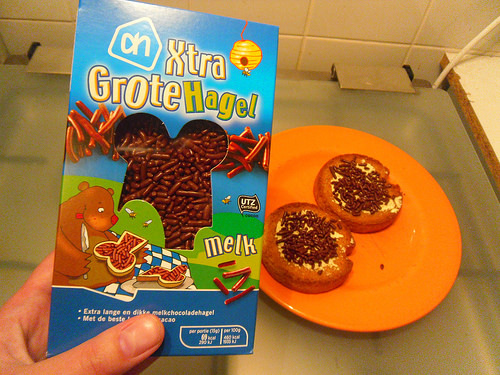 This is “Hagelslag” or chocolate sprinkles in english, they are small chocolate pieces you can eat on your bread. They are quite popular and you have them in different flavours, like milk chocolate, dark chocolate and white chocolate. Although the white chocolate ones are usually a package with both dark and white chocolate in them. I usually buy the milk ones, but then the XL version as they are bigger than the normal ones. On the background you see two “beschuitjes” with chocolate sprinkles on them. This is the drawing I finished last weekend. I went with a kind of flower colour scheme with pink and purple for two layers and green and blueish for the other layers. I quite like how this one turned out! 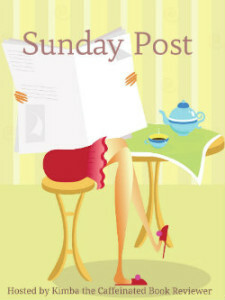 – Lola’s Ramblings: Where Do You Read? – Lola’s Ramblings: How do you Follow Blogs? – Maisy and the Mystery Manor by Elizabeth Woodrum – Also in audiobook format! Ooh I like your drawing! Also, I kind of love your weird things you eat on bread feature lol. Saven: Deception looks interesting. I didn’t request because I’m not sure if it’s my kind of book, but I’ll be looking forward to seeing your review of it. I’m looking for a good book about aliens to try. I think I am almost running out of weird things we eat on our bread here. But I have a few other ideas for things to photograph. 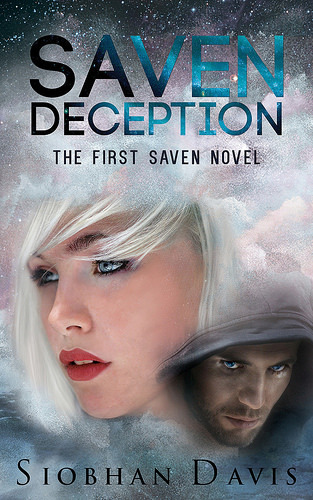 I beta read Saven Deception, so I actually have already read it, but I am looking forward to read the ARC now and review it as it’s such a different way of reading compared to beta reading. It is a good book about aliens, it’s pretty original and has a good romance. The underwater city is also a nice touch. I would definitely recommend it! I love your drawing. Looks beautiful. Especially the different colors. Since I’m Dutch I probably should like ‘Hagelslag’. But to be honest.. I almost never eat it. Not so much because I don’t like it, but more because when I try to eat it, it’s everywhere except for in my mouth. LOL!! I do agree that hagelslag can be tricky to eat with it falling everywhere, but I still like it. The XL hagelslag is bigger than normal hagelslag and falls off a bit less eays. I aspecially like it on beschuit, but I usually eat Kokosbrood on my bread. I like how the colour combinations worked out on the drawing, it’s hard to predict how things turn out and if it looks nice before you start colouring. Love seeing the products from different countries 😀 Glad things picked up the later half of the week 🙂 Hope you have a good one! It was nice things picked up in the second half of the week. It’s been fun thinking of things to photograph and show on my blog. A slow week can be nice some times. 🙂 You got a great book haul! I signed up for the Maisy books for audio! I have been wanting to read them and audio will be perfect as that is my preferred listening to method now days…lol. Only the start was slow, the second half of the week got really busy. I’ll check the sign-up form for Maisy next and make sure to e-mail you about the review opportunity. The chocolate sprinkles are pretty good and you can buy them everywhere here and even at restaurant they serve chocolate sprinkles at breakfast. Love that you are helping set up author blogs, I really need to get my HTML skills going so I can start offering website design. I think I can do very good with those even setting up blogs would be fun to do. Next year I plan to get into that. Before I read the text I thought they looked like Sprinkles 🙂 I never tried them on bread but those breads look different than what we eat as bread. At least the shape. It’s only this author I’ve set up her blog and author site so far, but I might want to offer the service to other authors as well. My html and CSS skills are definitely lacking, I keep running into issues that I don’t know how to fix. I do enough often to google what I need to know, so that’s good. I keep learning new things. And yes they look like sprinkles, but then chocolatety. Only we don’t call them sprinkles, but hagelslag. We can also buy sprinkles here, but we don’t put that on our bread, only on bakings and desserts. I like the coloring book picture you did. It came out really good. I like the colors you chose. The recipe looks tasty. You got some great books this week. Thanks! I am glad you like the coloring book picture I did. It was hard figuring out which colours to use at times, but I am happy with the result. It still weird to know they don’t sell chocolate sprinkles anywhere else, it sounds like it would sell well in other countries too. I love all these pictures of the different things you put on your bread. Chocolate sprinkles aren’t something we put on bread here. Those look like the chocolate sprinkles that we would put on a frosted cake. We love adding sprinkles to cake. I am glad you’re enjoying the pictures :). Here they sell different sprinkles for on cakes, but hagelslag is mostly eaten on bread, although you can add it to cakes as well. Funny little thing about those sprinkles. I would have never figured them to go on toast, but I would be willing to give it a go. It looks pretty yummy. Those particular sprinkles look bigger than the US norm. It’s nice to see what is going on in the kitchen on your blog. I am going to see if I can order some in and give them a try. Chocolate and bread sound like a good combo to me, although I had never thought of it. It’s nice to see the different ways of doing things. 🙂 Last week went by fast here, with Thanksgiving and all. It’s pretty common here to eat chocolate on your bread, we have like 3 or 4 different ways to eat chocolate on your bread. I hope you had a great thanksgiving! Chocolate sprinkles on bread? Interesting – I’d be quite keen to try that actually! Your drawing is really good. Well done! I love the colors. Thanks I am glad you like it. Picking the colours for a drawing is one of the hardest parts. I wonder why they don’t sell chocolate sprinkles in other countries, it sounds like something that a lot of people would enjoy. I’m glad you had some quiet time before the busy time and got a few things done. Stuff like sorting recipes etc often gets pushed to the end of my ‘to-do’ pile and never sees the light of day! I have a lot of those task too, that I always push to the end of my to-re pile and then never get around to doing them. You are always putting yummy stuff on your bread. Hope you enjoy your new books, Lola. I hope so too, it was a good week in terms of books and I am really looking forward to all of these! Nice to have some slow days to relax and re-charge. Neat that you have your first audio book tour and another blog site to work on. Chocolate sprinkles sound delicious. I would pick the dark chocolate. 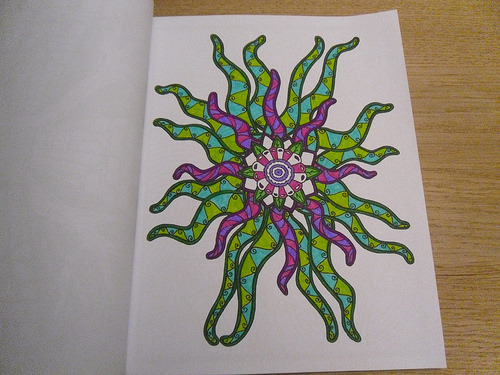 Fun coloring scheme you chose with the variations of green and purple. Good stack of books, too. I still want to try Maria Snyder’s books. The Siobhan Davis book looks good too. And yay, you got the next Dolphin shifters. Hope it’s better for you than book two. It was nice to have a few slow days, before thigns got busier again. I plan on asking author if they have audiobooks for their books more regulary in the future as all the audiobook copies for this review opportunity were gone really fast. I never realized how popular audiobooks are, it really surprised me. I usually go for the milk chocolate sprinkles, at least when they are XL sized. The normal ones I usually prefer the dark chocolate. They also have super dark chocolate packages of some brands, but those are too dark for me. Picking the colouring scheme for a drawing is one of the hardest parts of the process, I am glad it turned out nice. I really like this series by Maria v Snyder, I still have to catch up on one of her other series, but I managed to keep up with this one. 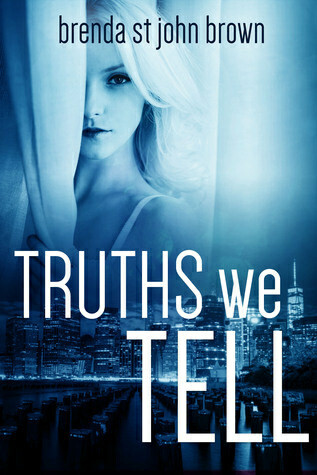 I beta read the Siobhan Davis book, so I am looking forward to read it just to enjoy now. I’ve been in the mood for romantic suspense lately, so I picked up the next Dolphin Shifters book as I hope to read it soon. And this one is about a character I am really curious about, so I hope it’s a good one. Glad you had a pretty good week, Lola. Your coloring is gorgeous! And I’m absolutely okay with having chocolate sprinkles on my bread. 😉 You also picked up some nice looking books. I’m anxious to see what you think of Dangerous Tide. Enjoy your week!! I think someone should start selling chocolate sprinkles in the US, I think it would be a big success. 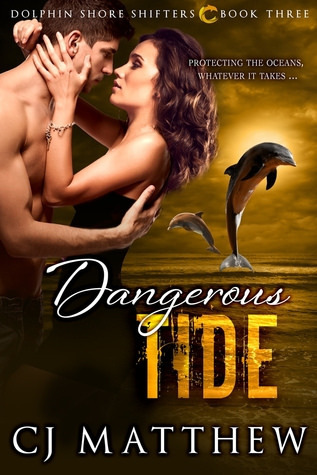 I am curious about Dangerous Tide too, even though the series isn’t wow-ing me, there is something about that dolphin series that keeps me getting the next book as soon as possible. This one is about a characetr we learned about in the previous books already, so I am really curious about it. Your coloured picture is lovely! Purple and green always make a really good combination! I like purple as a colour as it goes so well with other things. Mmm chocolate sprinkles…haven’t had them in AGES and I might just get that to liven up the cereal or something. Have a good week! Yes I like the combination between purple and green, purple is a colour that goes well with a lot of other colours indeed. I don’t eat chocolate sprinkles that often either, but I like to have some at home for when I am in the mood for some. You have these best toast toppers in the world!!! These look delicious, sprinkles are the best!! Your picture is beautiful, I haven’t done any for a while but I got given the Harry Potter colouring book for my birthday and it looks fantastic. Have a great week! The chocolate sprinkles are really good. I haven’t made time for colouring a lot lately, so I was happy to finish ths one. I am curious about the Harry Potter colouring book, I hope you’ll enjoy it and share a picture when you’ve coloured a bit.